Medtronic discovered 1,000 adverse events from patients Infuse during surgery. The world’s largest medical technology company has been called out by a U.S. senator to provide detailed information about injuries associated with its bone graft product, the Minneapolis Star Tribune reported. 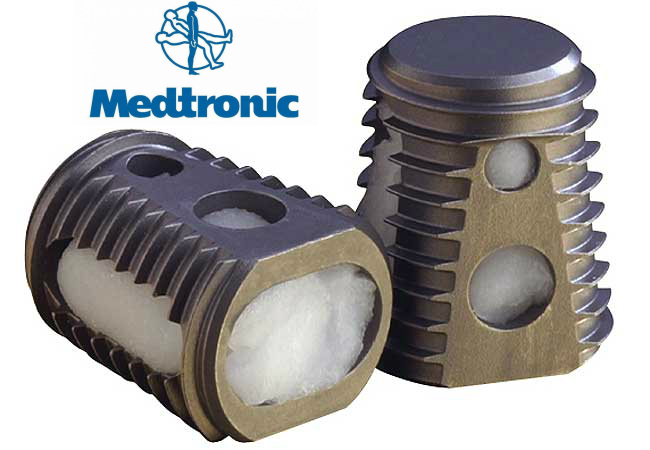 Medtronic Inc., Minnesota-based manufacturer of a genetically engineered bone grafting product called Infuse, was accused of failing to report adverse events associated with its product to the Food and Drug Administration (FDA) for years. The Star Tribune reported Sunday, April 10 that Medtronic had discovered roughly 1,000 adverse events from patients who had been injured – and in some cases died – after having Infuse inserted during surgery. Medtronic said the reports, which were discovered during a retrospective chart review of more than 3,600 patients implanted with Infuse between 2002 and 2006, were “misfiled” for about five years before they were rediscovered in 2013. The Star Tribune’s article highlighted Medtronic’s alleged misconduct, saying the company was legally obligated to report adverse events to the FDA within 30 days of receiving them. On Wednesday, it was reported U.S. Senator Al Franken of Minnesota asked Medtronic to provide more details about its handling of the study and adverse events. He also called on the FDA to provide details about its own conduct. Though the FDA issued two separate warning letters to Medtronic in 2007 and 2009 about not reporting adverse events, the agency allowed the company to submit a summary of events instead individual narratives when the company finally started reporting them in 2013. Then in 2014, Medtronic reportedly submitted a 76-page table and a three-sentence summary of 1,039 adverse events associated with the retrospective review. The FDA released only the three-sentence summary to the public and retracted the number of injuries claiming it was a corporate trade secret. On Monday, Medtronic released a statement in regard to the Star Tribune report, saying the newspaper made “insinuations that were false” and failed to include important information regarding the review and Medtronic’s actions. The Infuse bone graft is an alternative to harvesting bone from patients with certain bone or joint problems. It is made from a genetically engineered version of a protein the body makes naturally when bones are growing. It is often used to treat spinal injuries due to trauma or old age. More traditional treatments involved harvesting, or surgically removing, bone from the hip or elsewhere in the body and transferring it to the injured spot. This required an additional surgery and often caused significant pain in the area where the bone was harvested. In 2002, the FDA approved the Infuse bone graft, which eliminated the need for a second surgery to harvest bone from another area of the body. The Infuse bone graft is made of a genetically engineered version of the recombinant human bone morphogenetic protein-2 (rhBMP-2) and a sponge made from bovine collagen that releases the protein over time wherever it is placed. The sponge is eventually absorbed and replaced by bone. Infuse was originally approved to treat patients with degenerative disc disease undergoing spinal fusion surgery in the lower back. It was later approved for other uses, such as dental implant procedures. Did Medtronic skew study results in its favor? What was touted as a better, less painful alternative to traditional bone grafting, the Infuse product has come under scrutiny in past years due to potential complications. 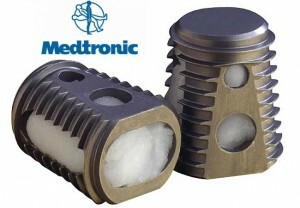 Medtronic has also been accused of construing study findings in favor of its product. In 2012, the Senate Finance Committee conducted an inquiry into Infuse and found Medtronic had been heavily involved in shaping, editing and writing the research of company-paid physicians, the Star Tribune reported. An article published in the North American Spine Society’s Spine Journal indicated the adverse events from Infuse could be 10 to 50 times the original estimates. In 2011, Medtronic commissioned Yale University to study the effectiveness and safety of Infuse using the studies Medtronic had conducted itself in prior years, as well other studies published in medical journals. Yale hired two independent teams of researchers, one in Oregon and the other in the UK, to assess the studies. The teams’ findings were published in the Annals of Internal Medicine in June 2013. The researchers concluded that at 24 months Infuse increased fusion rates and reduced pain by a clinically insignificant amount. It also increased early postsurgical pain compared with bone harvesting. The researchers also found evidence of a potential increased incidence of cancer, but said the results were inconclusive. What are the potential complications of Infuse? Medtronic paid out about $85 million in 2012 to shareholders who claimed the company made misleading statements about Infuse that hurt stock prices. The company is also fighting a lawsuit filed by insurance company Humana, who alleges Medtronic marketed Infuse for uses that weren’t approved and tricked the insurance company into paying for them. A number of patients who say they were harmed by the Infuse product have also filed lawsuits against Medtronic. If you or a loved one were injured after being implanted with Medtronic’s Infuse bone graft, call the Hood National Law Group today at 1-800-214-1010 for a free case evaluation, or fill out the form on the right-hand side of your screen.